IBM Notes Journaling Software – Domino Journaling - Email Compliance - What Is ReduceMail Pro Journal? What Is ReduceMail Pro Journal? ReduceMail Pro Journal is a state-of-the-art journal management and audit system that enhances native IBM Notes R6, 7, and 8 journal functionality to provide a powerful IBM Notes management and audit tool. It helps extract IBM Notes mail for specific users and groups from the Lotus Domino journal and adds it to Journal Extract databases. It then searches those Journal Extracts for specific content. This helps the administrator in monitoring all incoming and outgoing mail regardless of how large the IBM Notes mail journal becomes. The key to ReduceMail Pro Journal is in its ability to focus the journal and IBM Notes search process. While the native IBM Notes journal system has a copy of every single message (even including I-Spy messages), the journal content that is actually needed for particular IBM Notes searches is often limited to specific users or departments. The IBM Notes journal itself is quite large, unwieldy and encrypted, preventing effective use of this critical data. ReduceMail Pro Journal extracts the relevant journal content only and the administrator is then free to perform a IBM Notes search on the Journal Extract. The IBM Notes search process is a high-speed keyword search of the full text index, to and from fields, relevant dates, subject lines and attachment names. A dedicated workstation of ordinary hardware is utilized to remove load from the server and provide cost-effective use of hardware resources. ReduceMail Pro Journal makes it possible for you and your compliance team to audit ever larger IBM Notes mail journals in a time efficient manner. ReduceMail Pro Journal uses the familiar IBM Notes interface. This allows the IBM Notes administration team to utilize this powerful tool without the need to interface with other technologies which require database administrators and other staff. ReduceMail Pro Journal is installed on a workstation of ordinary hardware which is secured from physical access. On the workstation you can set up a separate copy of ReduceMail Pro Journal for each investigator and allow the investigators to customize the extraction and IBM Notes search processes from server replicas of the ReduceMail Pro Journal system. For those organizations that have mail that was never journaled, ReduceMail Pro Audit can be utilized to search the pre-journaled mail in IBM Notes mailfiles and server-based Lotus Domino archives. assistance with responding to legal document search requests such as FOIAs, subpoenas, and IBM Notes legal discovery. ReduceMail Pro Journal extracts mail for specific users and groups from the Lotus Domino journal and adds it to the Journal Extract database. It then searches the Journal Extracts for specific content. If the resulting Journal Extract is still too large, an iterative process can be used to create the appropriately limited Extract. Thus ReduceMail Pro Journal can be used to extract IBM Notes mail to and from a particular set of users (individuals, groups, departments, etc. ), limiting the size of the Journal Extracts to include only relevant mail. Lotus Domino Journal content is typically encrypted and very difficult to manage from the Lotus Domino journal views. The encryption is important to protect messages from unauthorized viewing but also makes the Lotus Domino journal difficult to read. ReduceMail Pro Journal removes the encryption for the messages that you want to add to the Journal Extracts, making them useable for audit purposes. ReduceMail Pro Journal can also be customized to your current anti-spam engine so that spam messages are excluded as well. Those messages can simply be segregated and ignored or searched as part of an effort to improve anti-spam performance. This can have a significant impact on your IBM Notes search and backup needs. ReduceMail Pro Journal creates a full text index of the Journal extracts which includes all mail fields as well as attachments. All of the Lotus Domino full text index choices can be selected for maximum flexibility and you can also use other full text index search engines such as Google or Exalead. ReduceMail Pro Journal allows you to quickly respond to document search requests from your legal department. You copy the mail journals to the ReduceMail Pro Journal workstation and set it to work! All closed Lotus Domino journals are moved off of the mail servers to the ReduceMail Pro Journal workstation of ordinary hardware leaving only the active journals on the mail servers. This will save a substantial amount of disk space (soon more than your complete mail system!) and processor cycles taken up by server tasks on the closed Lotus Domino journals. ReduceMail Pro Journal can also help you with a necessary but annoying mail administration task – retrieving lost messages. When a user loses a message through improper or mistaken deletion, ReduceMail Pro Journal can help you restore it from the IBM Notes Journal. Simply search for the message using the from or to fields and date range and select the identified message and click a button to restore it to the appropriate user’s IBM Notes mail file. We help you save on server licenses as well. To search the Lotus Domino journals you do not need a Lotus Domino server, just a regular Lotus Domino client license since ReduceMail Pro Journal uses a workstation of ordinary hardware. To minimize costs, it can be useful to keep only one copy of each unique message. ReduceMail Pro Journal can deduplicate the messages in each mail Journal Extract as well as in the final Search Results database. What does ReduceMail Pro Journal do? 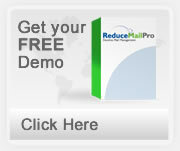 ReduceMail Pro Journal is an IBM Notes mail management utility which helps manage the built-in Lotus Domino journalling. It creates Journal Extracts from the Lotus Domino journal for users, groups and organizational units whose incoming and outgoing mail needs to be investigated. It allows you to perform subsequent extractions to narrow down your mail storage criteria. After you have narrowed down the mail you are looking for appropriately, ReduceMail Pro Journal allows you to search the Journal Extracts and discover the particular mail messages you are interested in. You can search using a full text index, subject lines, attachment names, dates, inside and outside email addresses. Where do you install ReduceMail Pro Journal? On a local workstation of ordinary hardware with an IBM Notes client. Is ReduceMail Pro Journal easy to use? Yes. Our developers have made every effort to make ReduceMail Pro Journal simple and user-friendly in every way, from the interface to the selection of features. We know your time is valuable and we treat it as such. Does ReduceMail Pro Journal use the real-time Name & Address Book? Yes. As soon as you change the person or group documents in the Name & Address Book they are available for use by ReduceMail Pro Journal. Does ReduceMail Pro Journal run on AS/400, AIX, UNIX or Linux platforms? Yes - it is compatible with ALL platforms on which IBM Notes runs. Is ReduceMail Pro Journal compatible with IBM Notes R9? Yes. The current version runs on IBM Notes R6-R9 and automatically adjusts its processing to the IBM Notes version. Is ReduceMail Pro Journal compatible with clustering? Yes. What if ReduceMail Pro Journal stops executing because I shut down the IBM Notes client? It will continue next time from where it left off until it is finished. Can I make sure that ReduceMail Pro Journal does not affect the documents of selected users such as executives? Yes. Just specify an IBM Notes group with those users and tell ReduceMail Pro Journal you want them excluded from the processing. Where do I find the instructions for installing ReduceMail Pro Journal? The instructions for installing ReduceMail Pro Journal are in the Help - Using This Database document that comes with the system. In addition to Reports, ReduceMail Pro Journal also generates mail journal Individual Reports. They include the granularized information. ReduceMail Pro Journal is designed for use with a IBM Notes client on a workstation. It uses LotusScript based agents and is optimized for an environment with a multitude of Lotus Domino mail servers. It works with IBM Notes versions R6-R9 and will be compatible with future Lotus Domino software one month after gold releases. Below are some examples of how ReduceMail Pro Journal might save your organization time and money. Some of these examples might affect the organization itself and some might affect the IBM Notes administration. Here is a possible scenarios for 10,000 users. Lower cost of production of email evidence in a lawsuit. The costs of producing email evidence in the event of a lawsuit are astronomical. Typical numbers quoted are $1 per memo. A staff person who keeps all mail can cost thousands of dollars if he or she is targeted in the IBM Notes discovery process. ReduceMail Pro Journal allows you to successively limit and expand your IBM Notes searches until you get the exact data sample you need, minimizing the number of extraneous emails. If your identification of the mail is 20% more efficient, you can save $20,000 by limiting a discovery to 80,000 instead of 100,000 documents. Lower storage costs. Closed Lotus Domino journals are removed from the mail servers and added to the ReduceMail Pro Journal workstation. The amount of storage saved will soon be more than your total enterprise mail system since nothing is removed from the journals. If your users each receive 0.5 megabytes of mail per day, the daily storage is 50 gigabytes. If your managed storage cost on the server is $50 per gigabyte you save a large portion of that $2,500 per day! Per year your savings are a large portion of $900,000!